Asking Grandpa Joe for help is easy. Call or contact me using the form below. You can schedule me with your senior or other group for an informative presentation about using a computer, as well. 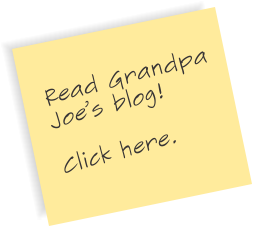 Grandpa Joe fixes computers with the simplest of issues as well as those that won’t even start. Don’t stand for an aggravating computer.